You are addicted to speed, heights and nature? You love the feeling of wind blowing in your face, of rushing down a rapid stream, of being surrounded by lush green hills? Then your next travel destination should definitely be Mindo! This small, charming town in the cloud forest of the Ecuadorian Andes is located about two hours northwest of Quito and is easily reachable by car or by bus. There are a lot of things to do in Ecuador, and Mindo combines a huge amount of them. 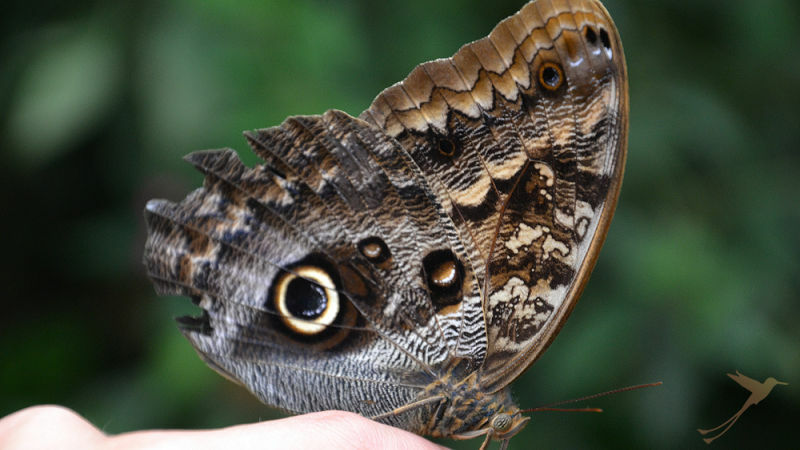 Go for example to the “Mariposas de Mindo” butterfly garden, where you can learn about the circle of life of butterflies and even let them sit on your fingers. To enjoy the unique cloud forest you can take walks in the adjacent woods. A recommendation is Mindo Lindo, a private finca with about 16 acres of secondary forest. It features a network of different trails along which you find amazing plants and trees. But not only is the flora worth a visit. Near the finca you come across an incredible variety of hummingbirds. Immerse yourself completely in the magic of the forest and forget all about the world around you. Back to reality your next destination could be one (or more) of the numerous waterfalls. To get to the beginning of the path take the famous cable car called Tarabita to cross the valley. Hike to these amazing spots and reward yourself with a bath at the bottom of the waterfall. Or, if this is not enough for you, take the waterslide to plunge into the natural pool with an incredible speed. For those who are looking for even more adrenaline, Mindo offers more than enough possibilities to fulfill this urge. You can choose between different activities that make your heart beat faster: tubing, canyoning or canopy. Who does not want to rush down the Mindo River sitting on tubes tied together, especially during the wet season when the rapids get bigger and faster? Or to abseil down different waterfalls and to get completely soaked? Or finally to dangle hundreds of meters above a valley, only secured by a harness attached to cables strung through the trees while doing figures like “Batman” or “Mariposa”? It is impossible to describe the feeling, just check it out! After all the excitement you deserve to taste the best brownie in the world. 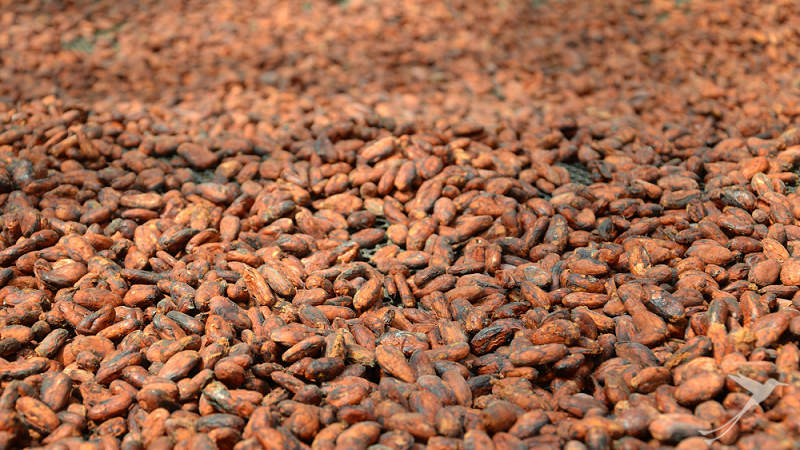 For this amazing experience just go to “El Quetzal” – a chocolate factory/restaurant/hotel – that offers bean-to-bar chocolate tours (of course with the opportunity to sample!). Welcome to (chocolate) heaven on earth. Mindo does not offer enough adventure for you? 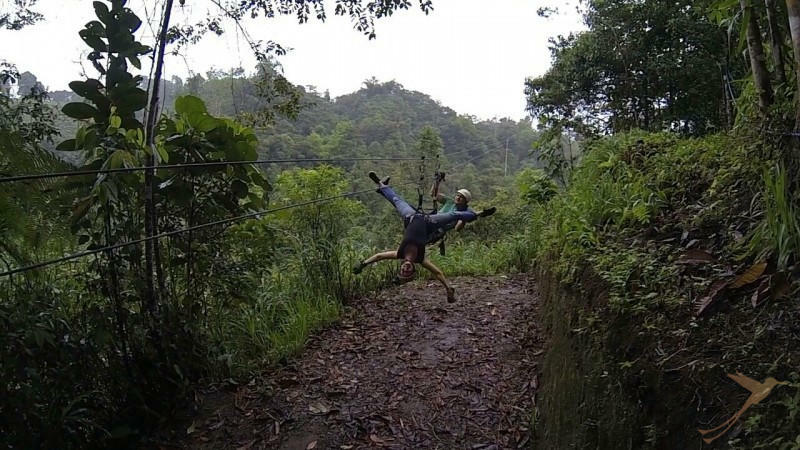 Continue your trip to Baños where you can go on rapid bike rides or jump from bridges!